Felix Volk reeves the hook block. 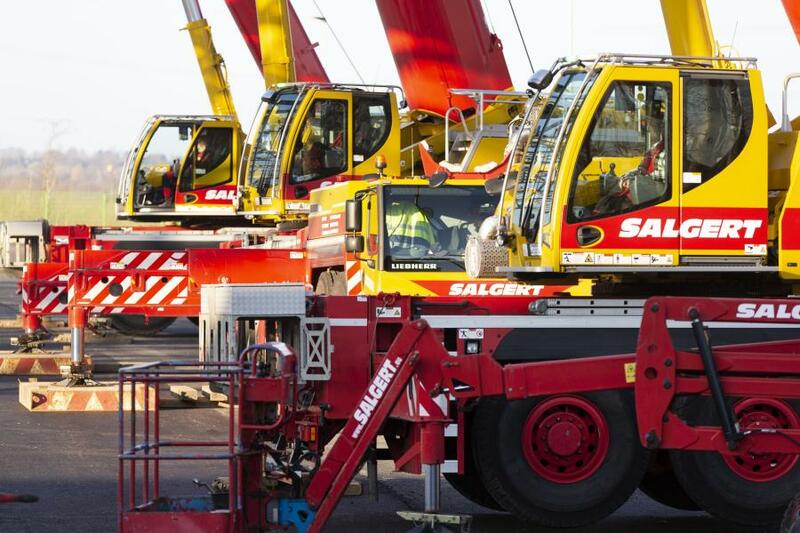 The LTM 1095-5.1 is the latest addition to the Salgert crane fleet. 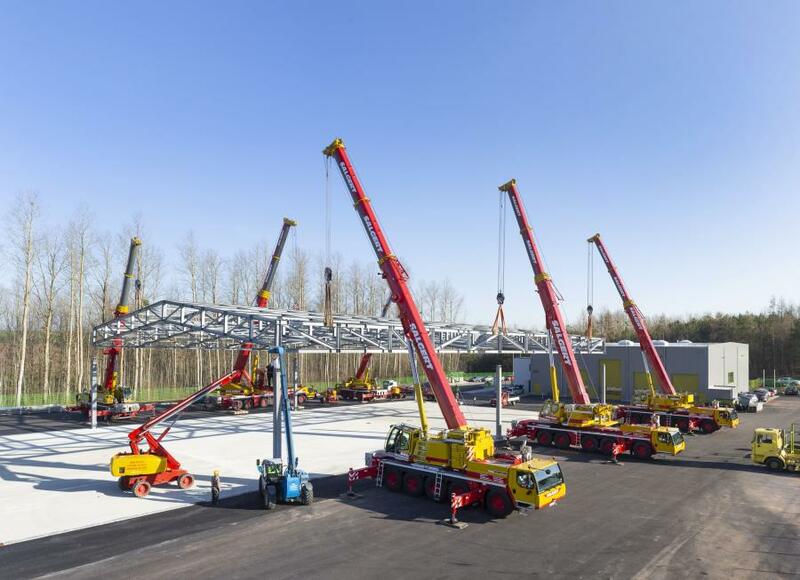 The roof construction for a future industrial building near Mechernich, Germany, had to be hoisted to allow its support pillars to be extended. 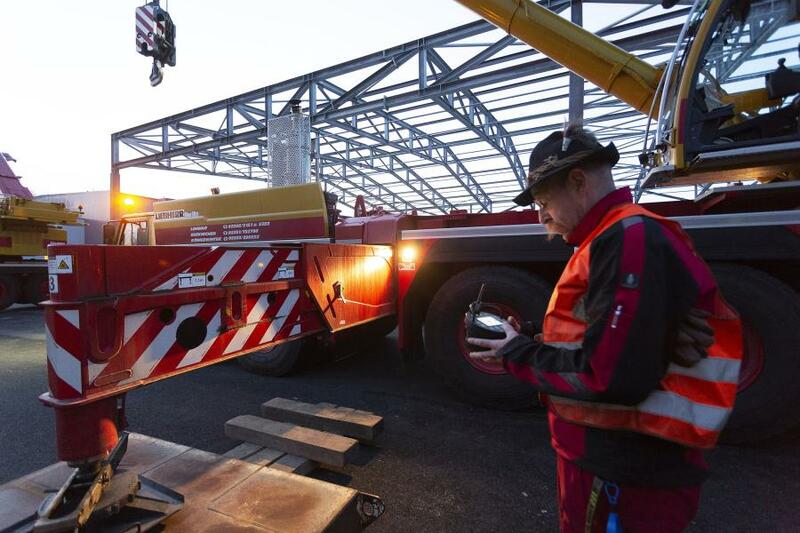 The job in the town in the Eifel Mountains was tackled by mobile crane and heavy haulage contractor Salgert based in Lohmar using six Liebherr mobile cranes. 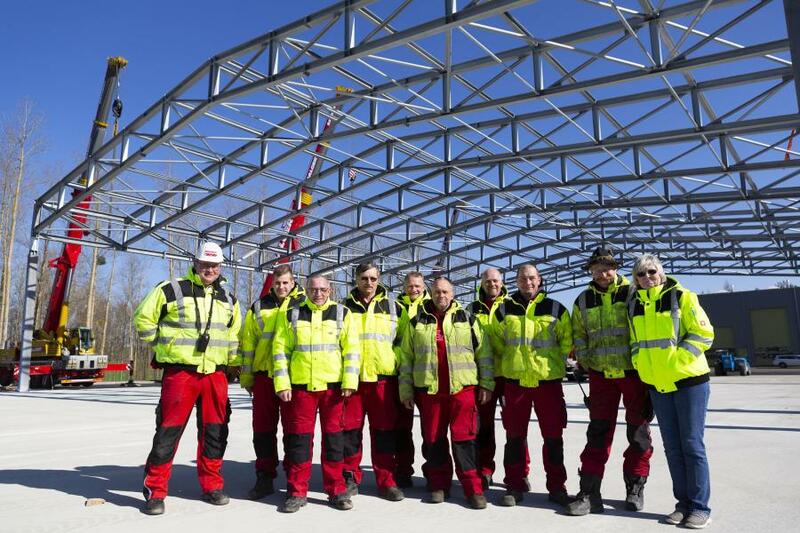 The steel structure measuring around 500 sq. m. and consisting of trusses and girders had to be hoisted in full. After attaching the slings to the load and releasing the connections to the pillars, the construction was first carefully hoisted just a few centimeters. A great deal of precision was required from the men in the crane cabs combined with great care on the part of the marshals to ensure that the load was picked up as synchronously as possible. Only by hoisting the structure simultaneously with great precision could it be guaranteed that it would not be damaged. When the load had been raised around one meters, it was the turn of the structural steel workers. An extension section measuring around 75 centimeters was placed and bolted to each of the six pillars. The precise lowering of the roof afterwards was then completed professionally almost as a matter of routine. 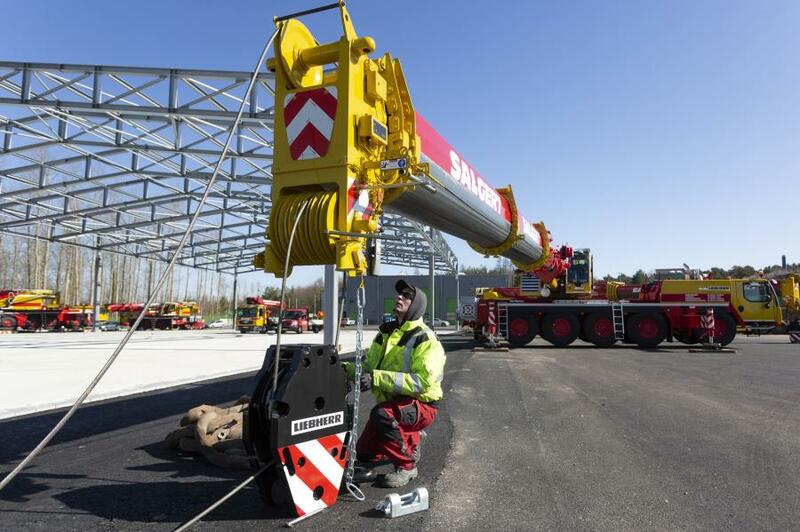 Just four hours after the arrival of the yellow and red vehicles on the site, the job had been successfully completed. A textbook crane job.